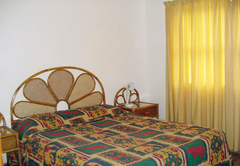 Kings Palace is a property providing self catering in St Lucia for tourists visiting the Elephant Coast region. 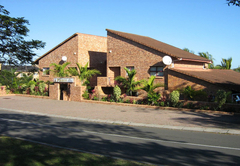 KKings Palace is situated in the beautiful, tropical town of St Lucia, in the iSimangaliso Wetlands Park, a World Heritage Site. 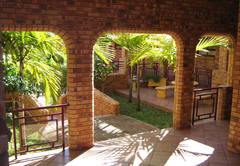 Ideal for an overnight stop, your annual vacation, tour groups and team building, the luxurious self-catering apartments are comfortable and serviced daily. 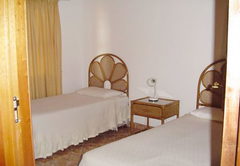 The luxurious self catering apartments are clean, comfortable and serviced daily. 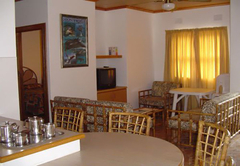 Kings Palace is family friendly and offers nine two bedroom apartments which sleeps four and one three bedroom apartment which sleeps five people. 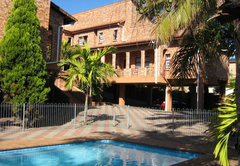 Each apartment has a fully equipped kitchen, lounge with colour TV and full bathroom. 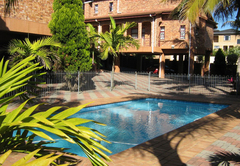 Three units have their own private garden with braai facilities and three have verandas. 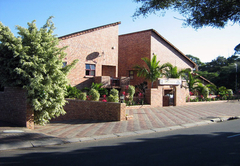 We also offer safe undercover parking with security, swimming pool and undercover braai facilities. 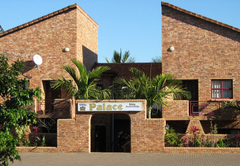 Kings Palace is within walking distance to all shops and restaurants and is the ideal base for exploring the surrounding areas such as game reserves, trails, beaches, etc. The Greater St Lucia Wetlands Park stretches from Maphelana in the south to the Mozambique border in the north and includes the St Lucia Estuary, Charter's Creek, Fanie's Island, the False Bay Park, Cape Vidal and Sodwana Bay. The coastline stretches approximately 280km and this is where Tropical and Subtropical weather systems; river life and sea life meet. It is said that the Greater St Lucia Wetlands Park has more species of animals than the Kruger National Park and Okavango Delta. Two bedrooms - 1 with a double bed, the other(s) with twin beds. Each bedroom has an en-suite bathroom. Open plan lounge, dining room and kitchen. Lock up garage and / or secure undercover parking for vehicles and / or boats. Fully Air-Conditioned. We have stayed at Kings Palace various times before and already noticed last time that if was neglected. Trying it again this time we regrettably must state that it has not improved since. We found a dead cockroach under the snk, the basin was loose, the wardrobe in one bedroom not accessable as the bed is in front of it. We booked for 3 adults, but received towels only for 1 adult (in one room). The worst was the fridge, which did not work properly and the freezer compartment was not defrosted and leaking. We expressed our disappointment to the manageress at the next door St. Lucia Villas. She instantly changed our accommodation to the Villas for the same rate. This place is very similar to Kings Palace but much cleaner and better. Kings Palace is a nice place and therefore not understandable that its management does not look after it. Response timeKings Palace typically responds to requests in 5-10 minutes.